Ret. S/Sgt. Eric (Rick) John Menzies, was born on November 25th, 1942 in Penticton, British Columbia. Rick passed away peacefully at his home on October 14th, 2011, after a valiant battle with a chronic disease. After serving 29 years with the Royal Canadian Mounted Police in Manitoba, Rick retired to Salmon Arm in 1992. 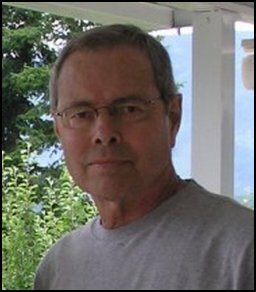 He spent his retirement years enjoying the outdoors by boating on Shuswap Lake, skiing, fishing, and camping. Rick will always be remembered as a motorcycle enthusiast and a passionate supporter of the Silverbacks hockey team. In his spare time, Rick kept busy by being involved in the RCMP Veterans’ Association, Canadian Red Cross, Shuswap Emergency Services and Rotary Clubs of Salmon Arm. Rick is sadly missed by his loving and devoted wife, Renee Roberge, his children Kelvin, Brenda (Fred), Brent (Linda), his grandchildren Jennifer (Andrew), Christopher, Brittany, Jeremy, Dylan, Devin, Kaylee, Joey, Justin, Curtis, Courtney, two great-grandchildren, brother Robert (Peggy), nephews Joel (Tyra) and Jeremy (Yeiko), great nieces and nephews, mother-in-law Jeannette Roberge, brothers-in-law Robin (Ronalie), Arthur and Marcel. He will also be remembered by cousins and many good friends. A memorial service will be held at Bowers Funeral Home on Wednesday, October 19th, 2011 at 2:00 pm. At Rick’s request, in lieu of flowers, donations may be made to the Shuswap Hospital Foundation or the Rotary Foundation (Canada).